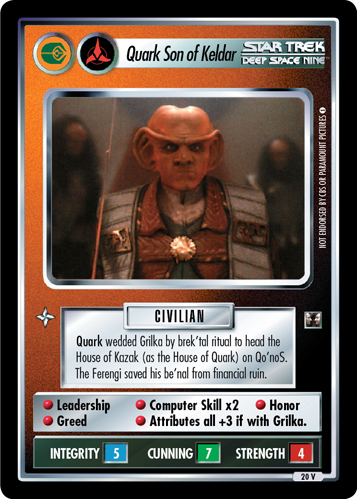 Quark wedded Grilka by brek'tal ritual to head the House of Kozak (as the House of Quark) on Qo'noS. 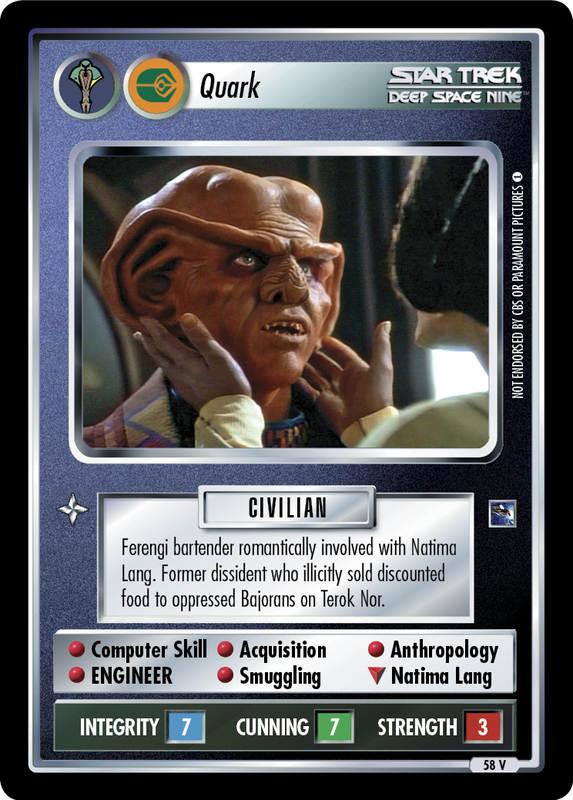 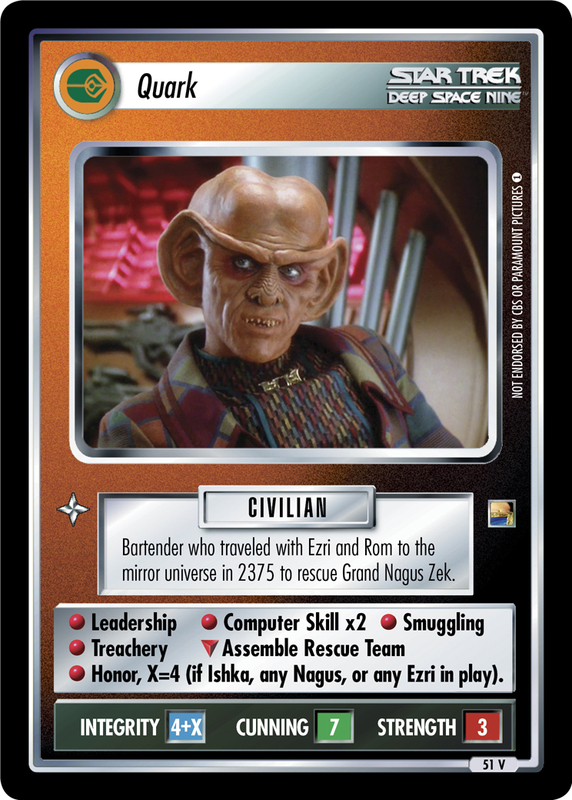 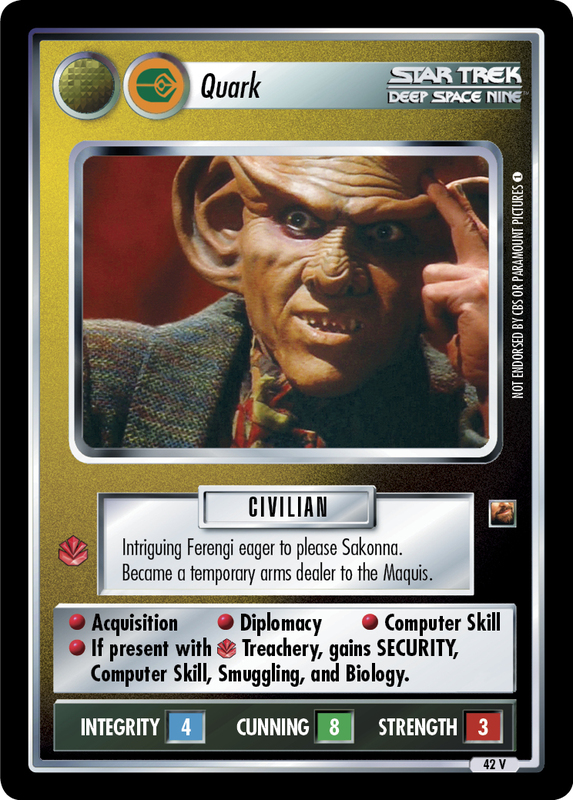 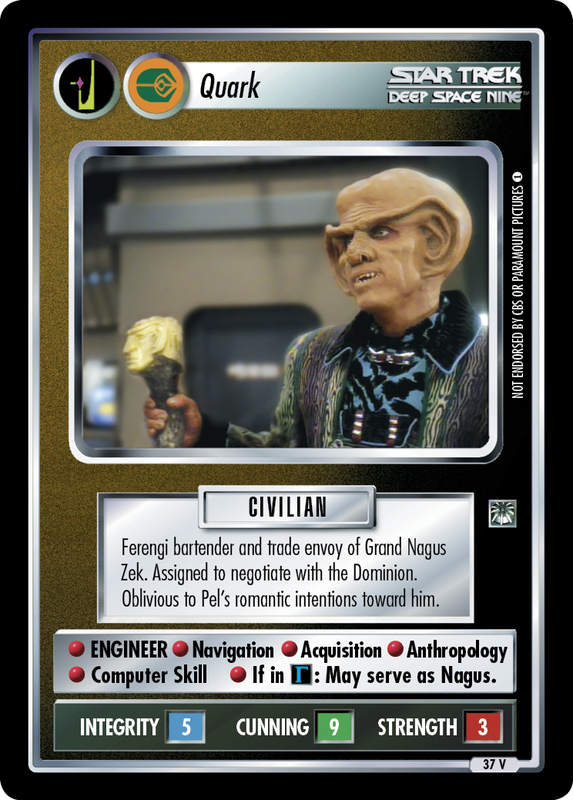 The Ferengi saved his be'nal from financial ruin. 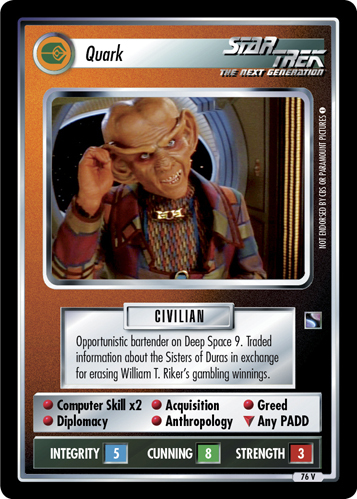 • Leadership • Computer Skill x2 • Honor • Greed • Attributes all +3 if with Grilka. 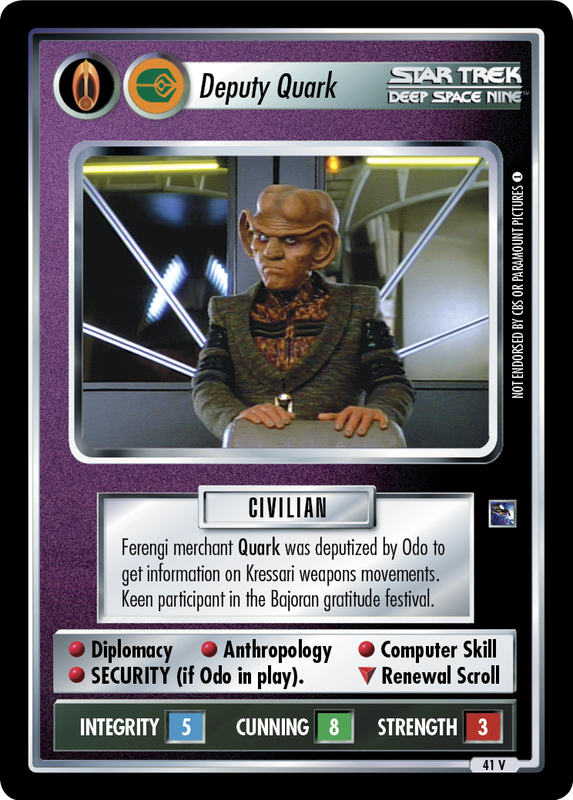 Image Source: Deep Space Nine: "The House of Quark"